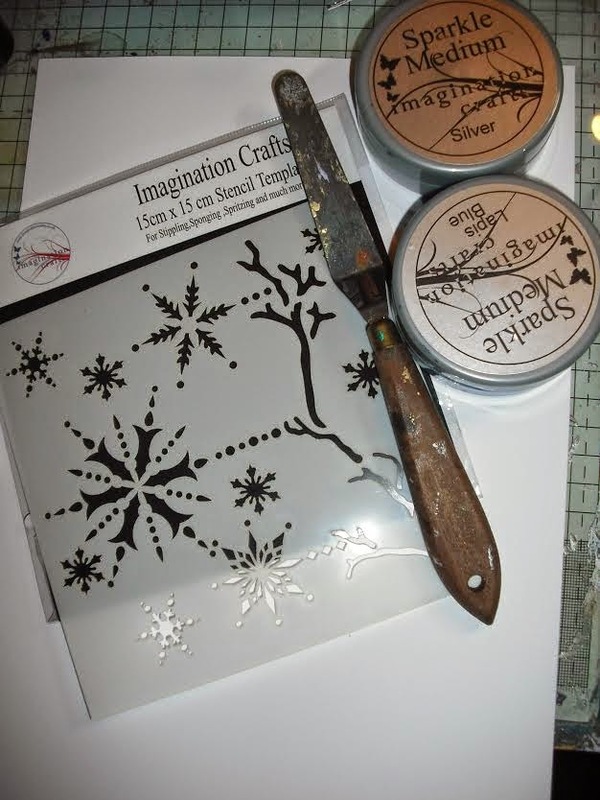 We at Imagination Crafts would like to thank Jennifer for her contribution to both the blogs and wish her well for the future. 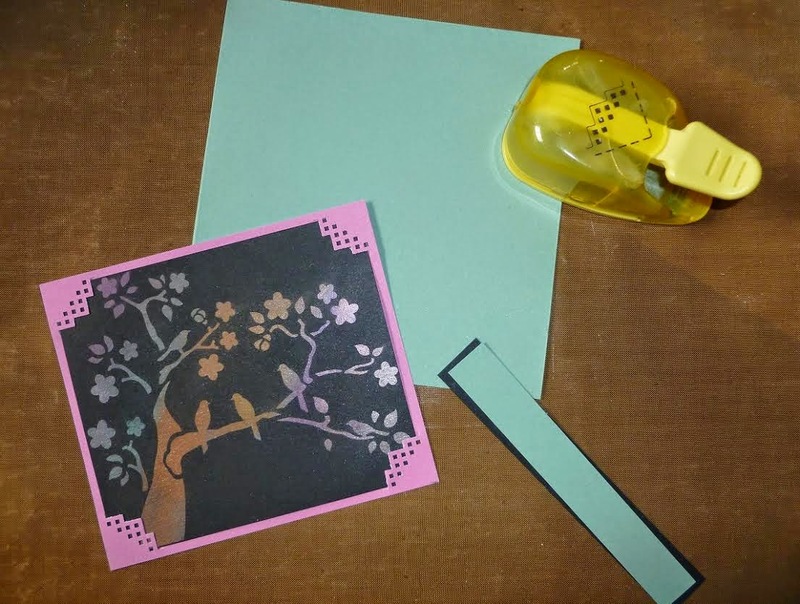 Make a base card from green card stock. Matt a piece of white card onto the base card, leaving a small border of the green showing. 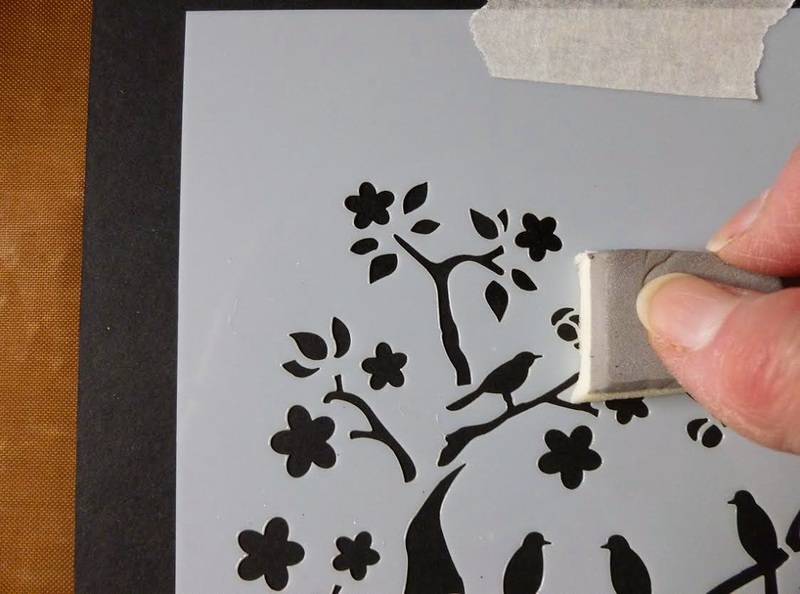 Take a piece of matt black card and lay the stencil on it and dab some Versamark through the stencil, using a piece of cut n' dry foam. 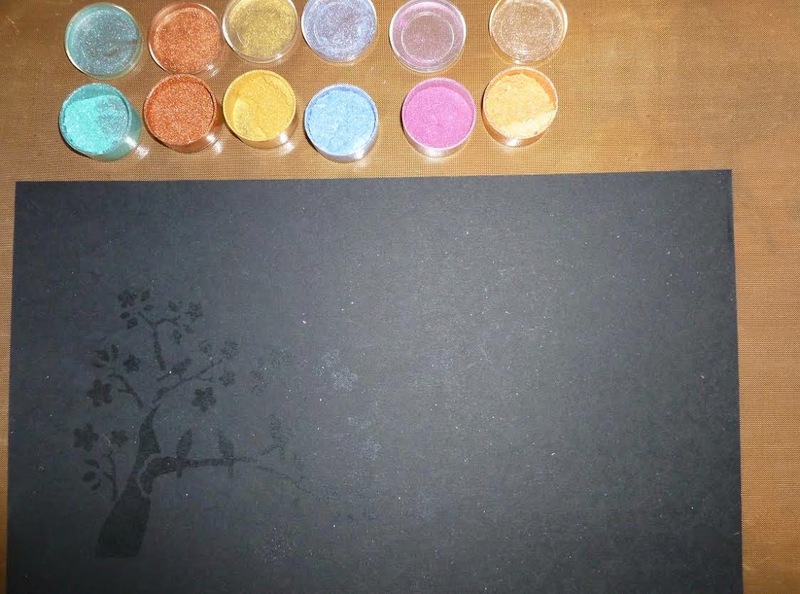 Brush strips of different coloured mica powders over the Versamark image. 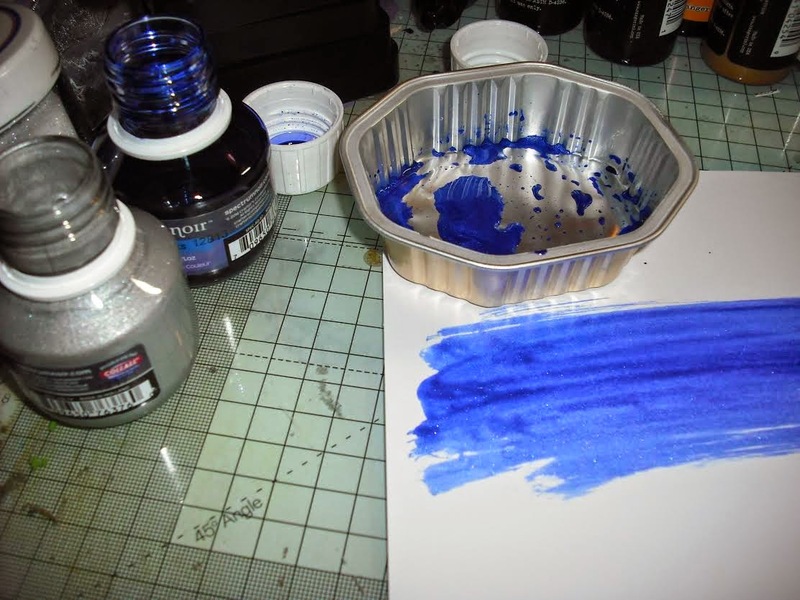 Brush away the excess powder. 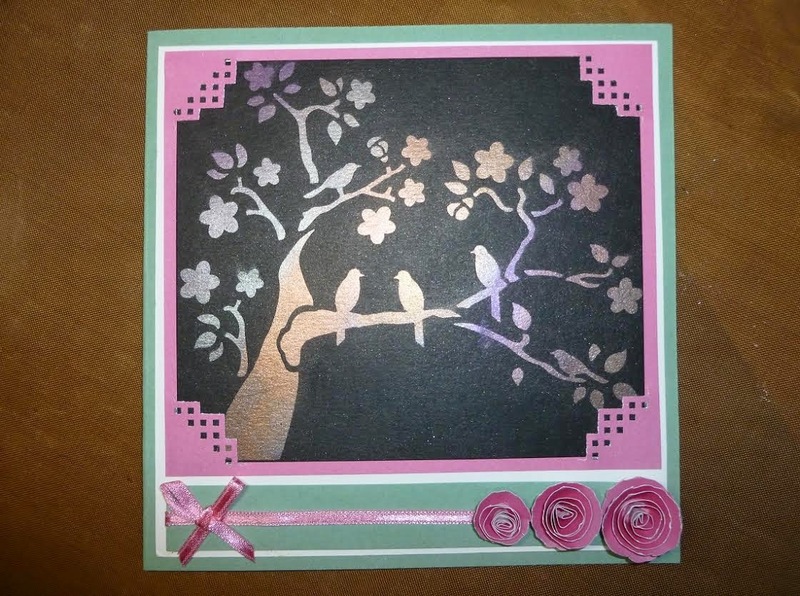 Take a piece of pink card and punch the four corners using the corner punch and fit the black card into the corners on the pink card. 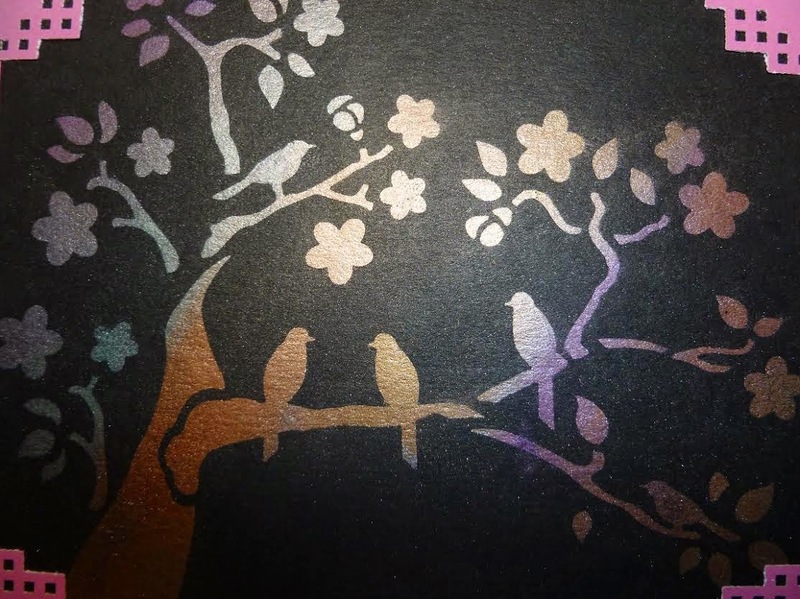 This is a close up of the mica image. 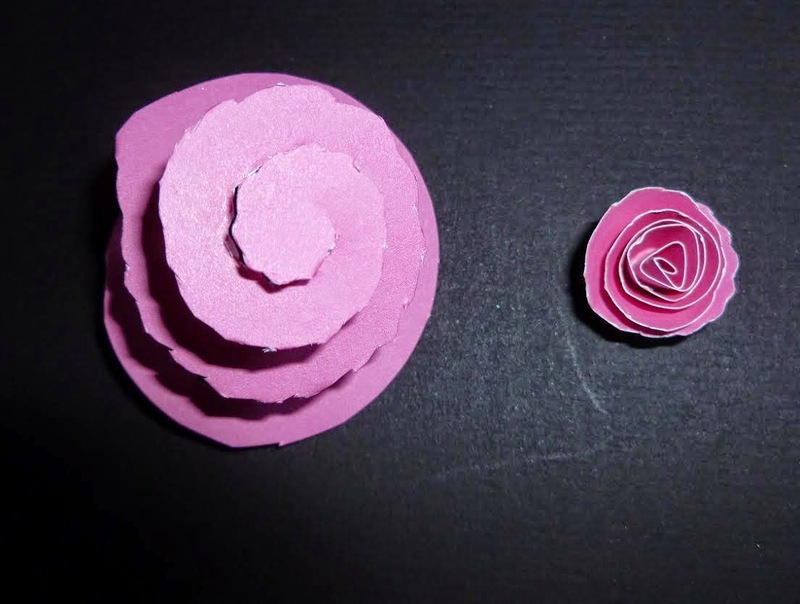 Make three roses from some pink card, one large, one medium and one small. 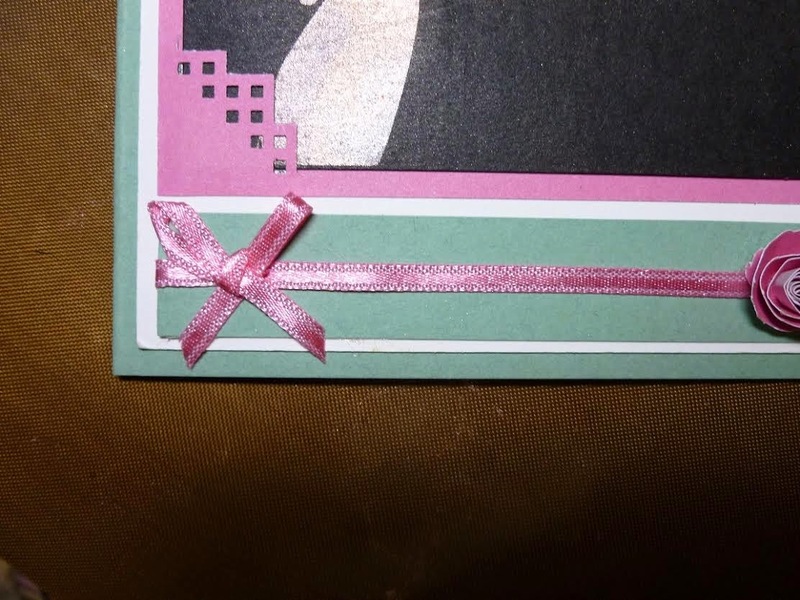 Cut a strip of green card and fix some narrow pink ribbon across it, securing on the reverse. Fix this to the bottom of the card. 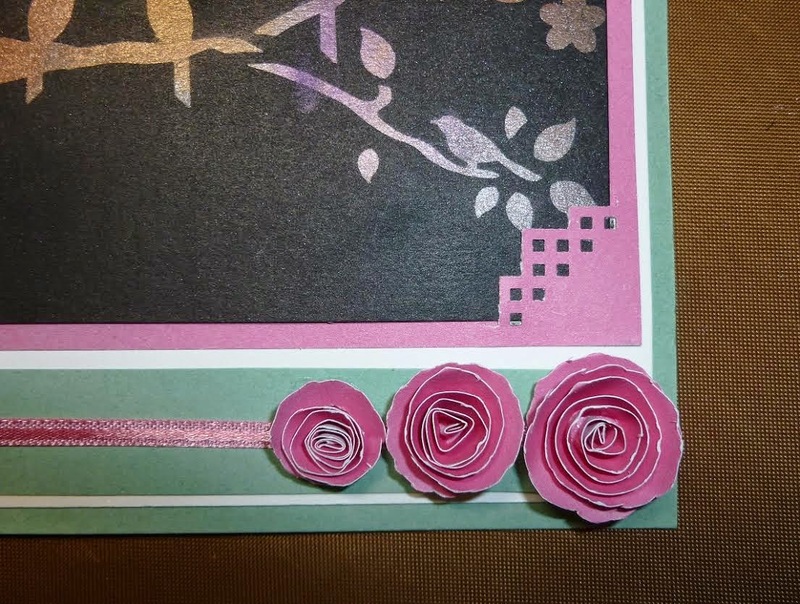 Glue the three roses to the bottom right. Add a ribbon bow to the bottom left. 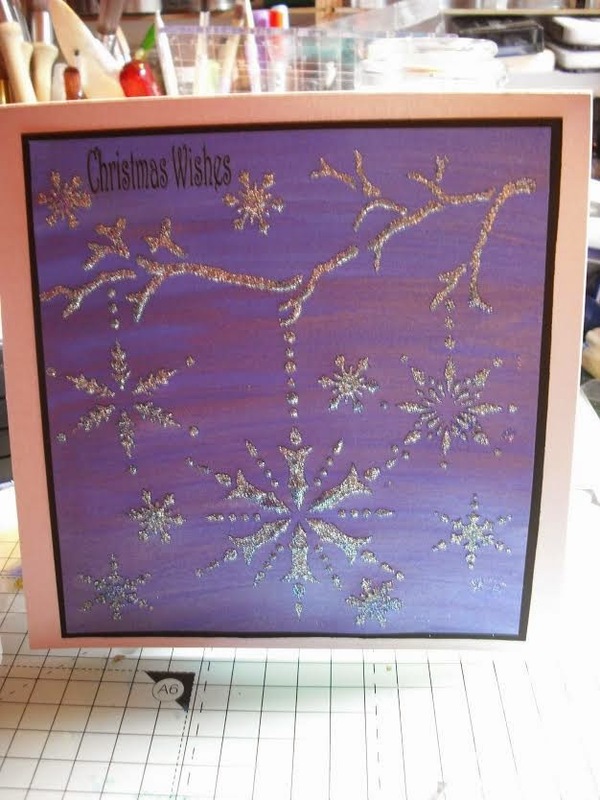 Well that is this cards finished, I do hope you like it. A little bit of Summer in the Autumn lol! Today we are sharing Lindsay's final tutorial as she has decided to step down from the team. We wish her all the very best for the future and thank her for her contributions to both the Challenge Blog and this Blog too. 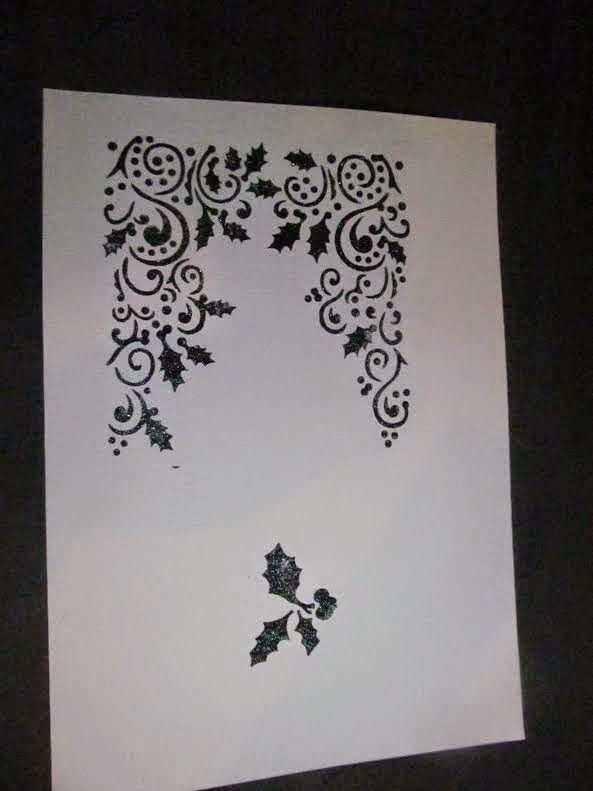 Take your stencils and stencil Black Stars Sparkle Medium through them both on to white card, leaving enough space between them so that they can both be used as separate pieces. When they are dried use a ruler to the edges and make them both in to squares. 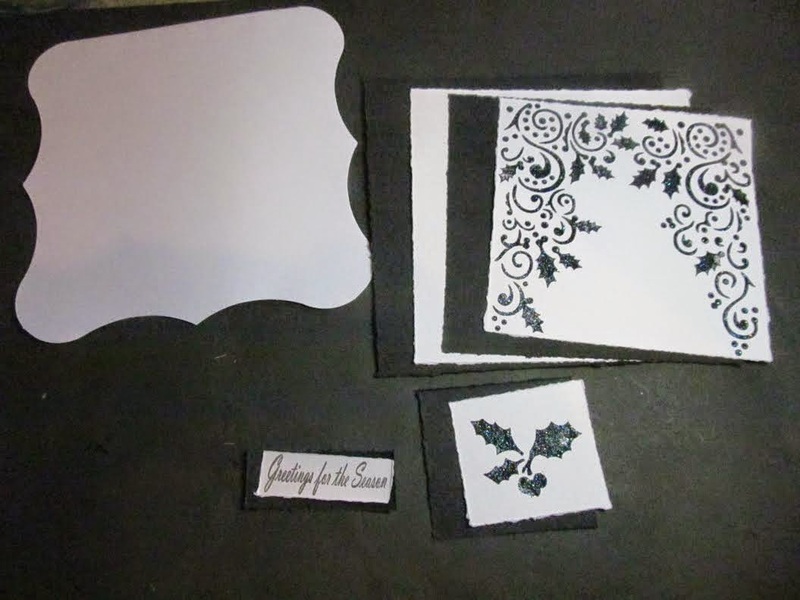 Matt and layer them with black and white card stock. 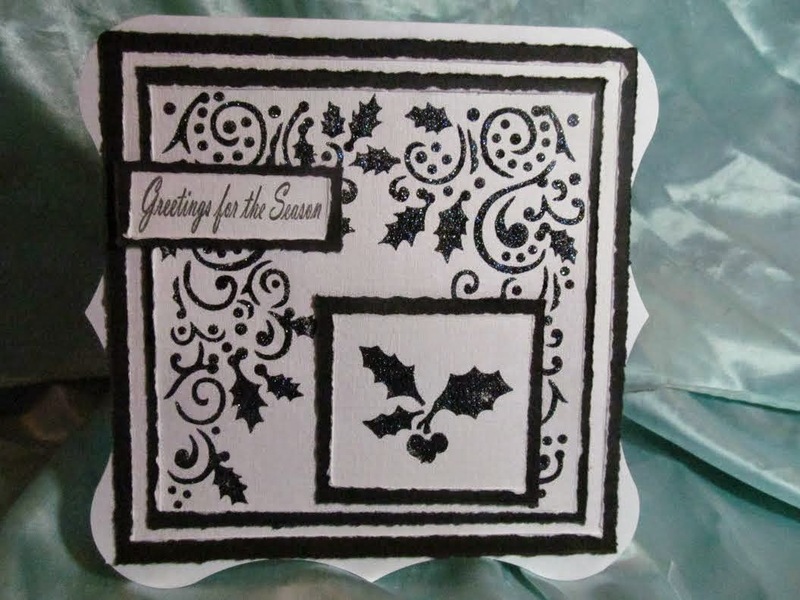 Stamp out a sentiment from one of your Imagination Crafts Christmas Stamp sets and matt and layer that as well. 5. 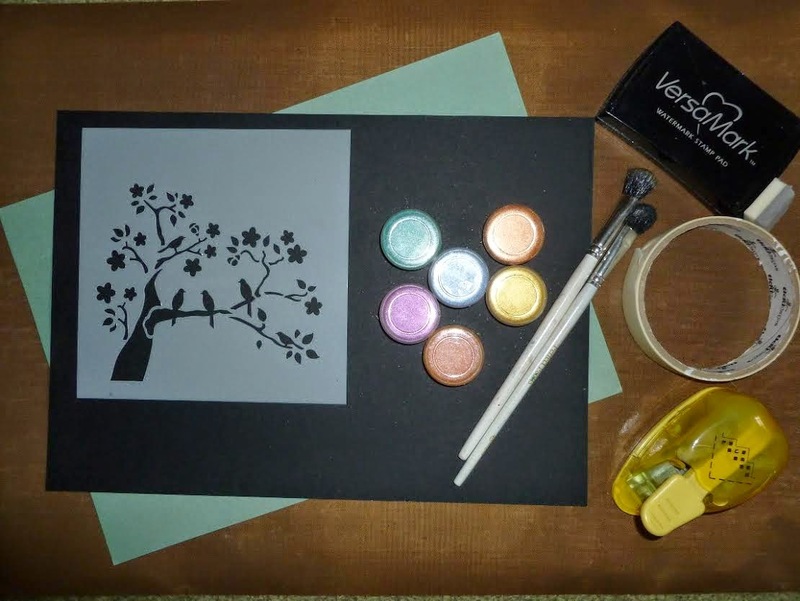 Stick all of your pieces in place keeping the smaller image and the sentiment off centre to add interest. Thank you to everyone who stopped by and said Hello to us at the NEC last week. We had a lovely time and it was great seeing you all, old customers and new customers too. 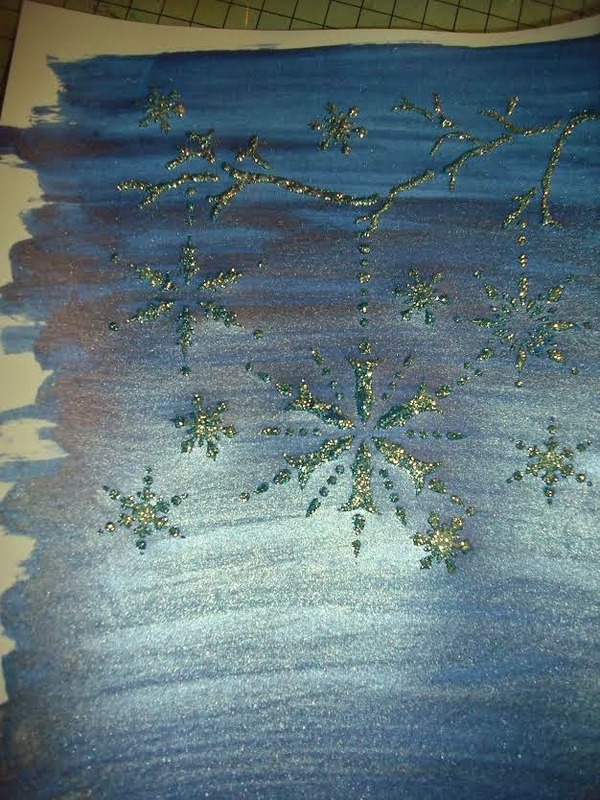 Today we have another Christmas tutorial by Rachel. 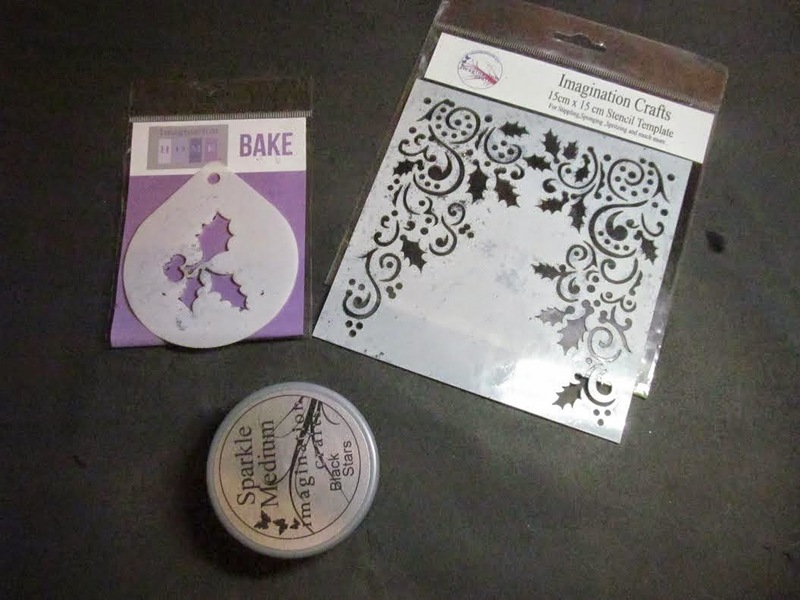 Collect together items for use, in this case Imagination Crafts goods are stencil and sparkle medium - silver and lapis blue sparkle medium (just a touch). 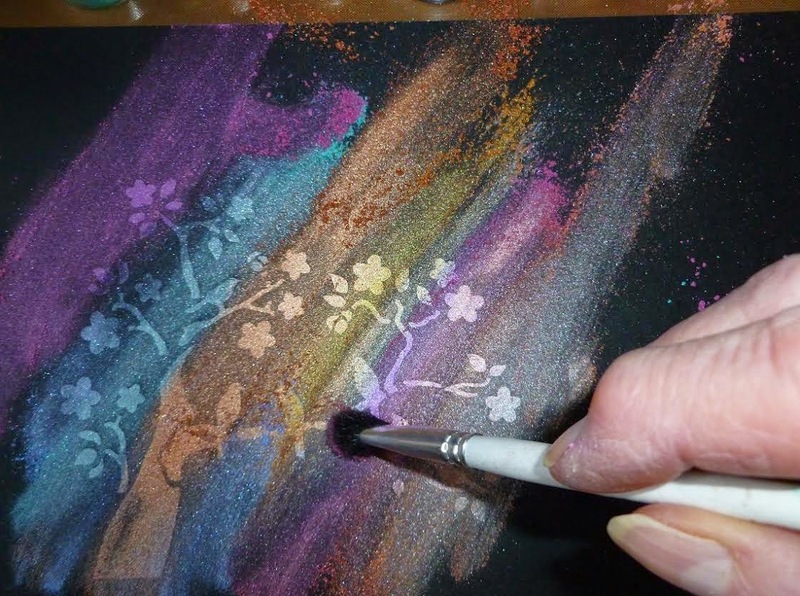 Once the background is dry place secure stencil over the background and spread sparkle medium, apply the sparkle medium with a spatula. Once dry mat and layer onto black card then onto base card. To finish off stamp a Christmas sentiment from Decoupage Stamp Set Cats.